ca 430 - 420 B.C. Perseus approaches King Cepheus as his daughter Andromeda is bound to a pair of stakes as a sacrificial offering for the sea-monster. 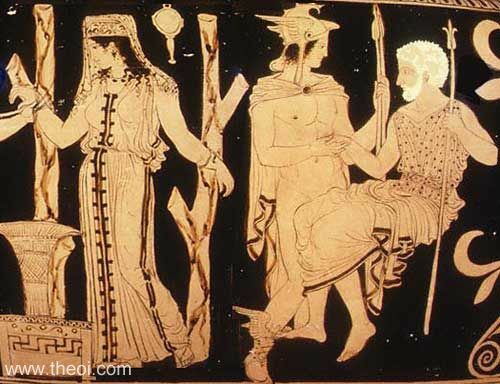 The hero wears a chlamys cloak, winged cap and boots, and holds a pair of hunting spears. The white-haired king grasps a royal-sceptre.